Two abstracts submitted by the hardworking scientists at Imanis were recently selected to advance to the final round for consideration as innovation of the year at WMIC! WMIC (World Molecular Imaging Congress) is led by academic and industry professionals who have been recognized for their achievements in molecular imaging. The congress is taking place from September 13-16 in Philadelphia, and Imanis is excited to attend for a third year. 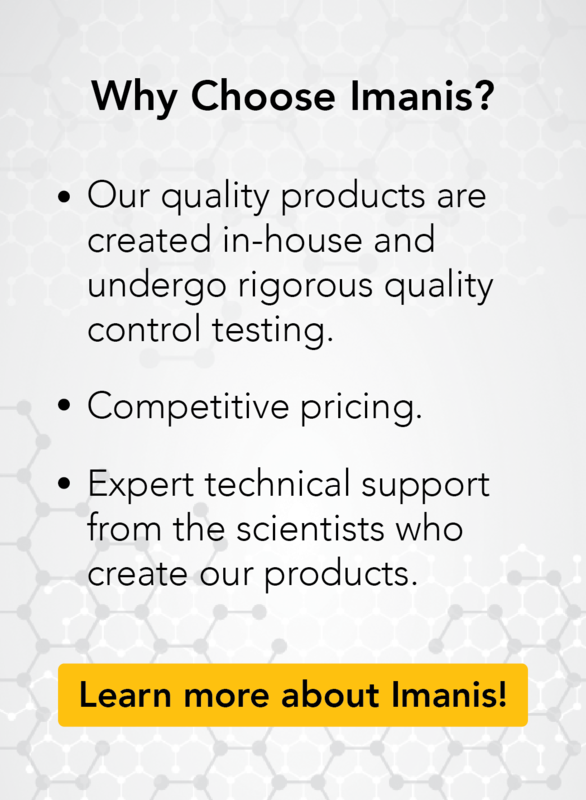 Read summaries of the chosen abstracts below, and come visit the Imanis booth 308 at WMIC! Induced pluripotent stem cells (iPSCs) are both valuable research tools as well as precursors to regenerative cells with clinical therapy potential. However, noninvasively tracking the fate of iPSCs and iPS-derived cells in humans and animal models has been difficult. In this study we generated sodium iodide symporter (NIS)-expressing iPSCs to facilitate longitudinal noninvasive imaging of iPSCs regardless of their cell fate. In vivo imaging of teratomas formed from these cells, indicated that NIS can be used to noninvasively detect differentiated progeny, demonstrating that NIS may play an important role in tracking iPSC-derived cells in research and the clinic. Traditional methodologies for tracking AAV biodistribution, such as quantitative PCR (qPCR) and immunohistochemistry (IHC), are invasive, costly, and time-consuming. Reporter genes, particularly firefly luciferase, have been used as a non-invasive alternative for monitoring AAV transgene expression, but such reporters are typically low-resolution, immunogenic, and suitable for use only in small animal models. The sodium iodide symporter (NIS) can function as a reporter gene for high-resolution, tomographic SPECT or PET imaging via its ability to drive cellular uptake of radiotracers. 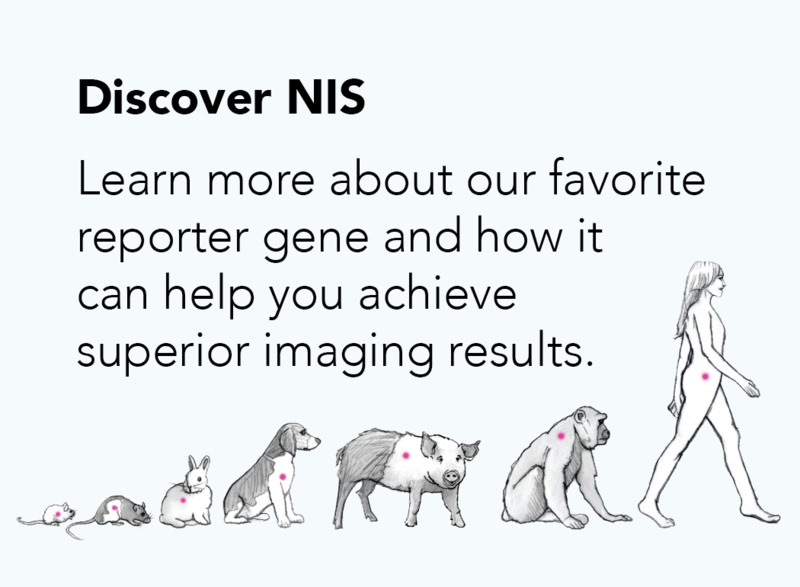 Unlike luciferase, NIS reporter gene imaging can be used in small and large animal models, as well as humans, thus offering the ability to use a single reporter gene to guide studies from pre-clinical to clinical phases. Given these advantages, we sought to investigate the utility of NIS as a reporter gene for non-invasive tracking of AAV transgene expression in vivo.